Monkeys are given enrichment such as toys, swings, climbing structures and other items to increase their behavioral diversity. Many of these objects are rotated on a regular basis, to keep them novel. This indoor enclosure for the monkeys at Oregon National Primate Research Center provides many opportunities that encourage natural behaviors. The floor is covered with wood shavings where food and treats are hidden to promote foraging. 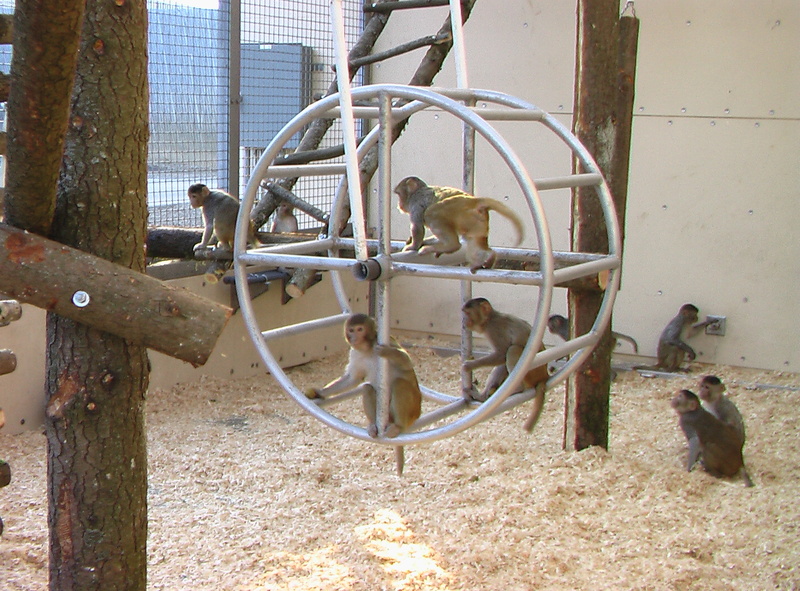 The wheel and other climbing structures allow the monkeys to climb and explore. These monkeys are group housed so that they can also socialize and groom each other.